Cape Cod is one of the biggest barrier islands in the world, shielding much of the Massachusetts coastline from North Atlantic storm waves. This protection erodes the Cape's shoreline at the expense of cliffs, while protecting towns from Fairhaven to Marshfield. 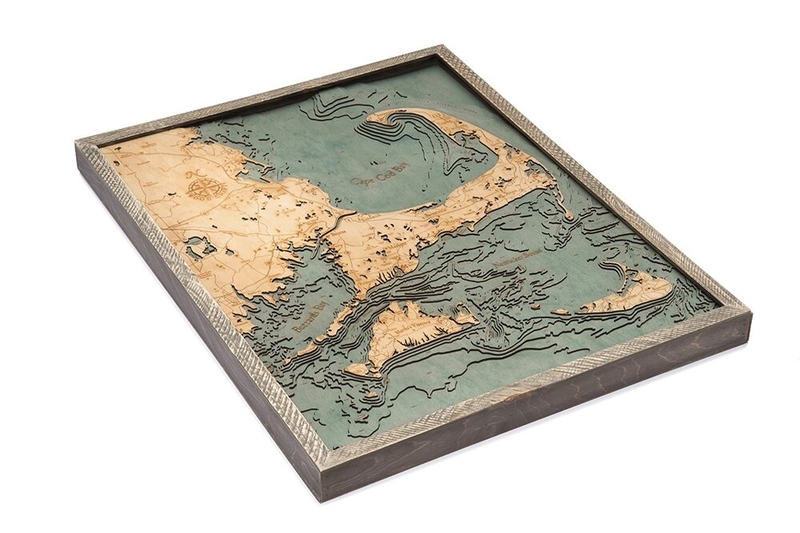 Whether you’re searching for unique gift ideas for the aquatic lover in your life or home decor, look no further than a Cape Cod nautical map. Our laser cut charts are framed, crystal-clear acrylic covered, 3D bathymetric charts carved in Baltic Birch wood. 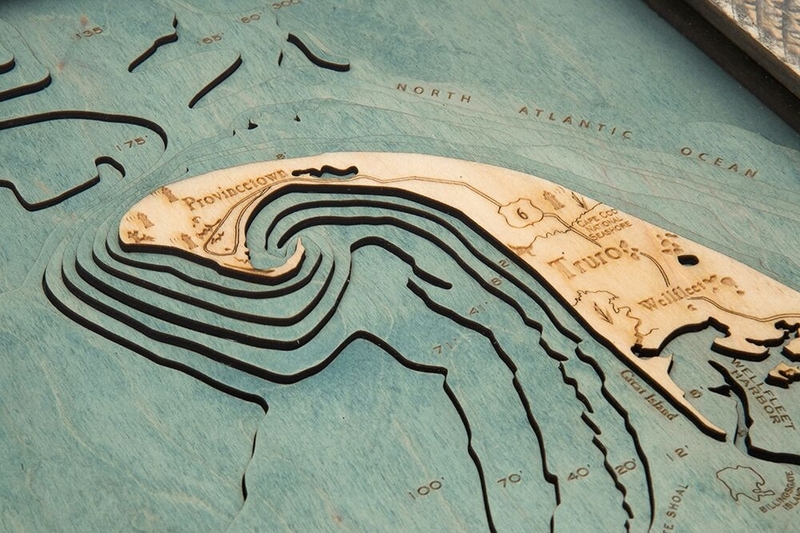 These maps depict the shoreline and bottom contours of Cape Cod, and they show precise shorelines, depths, landmarks and lettering. Special finishing techniques bring out the natural grain of the Baltic Birch. 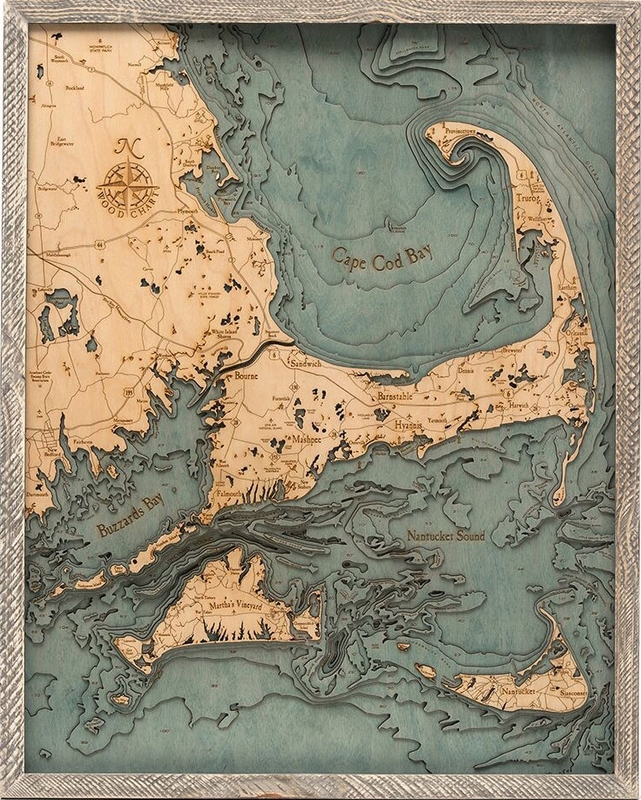 For the most detailed and lowest priced Cape Cod nautical charts on the market, look no further than Carved Lake Art. Order your solid-wood framed and ready-to-hang bathymetric wood chart today, or contact us if you have questions! Carved Lake Art is here to help. Check out this Pillow Map of Cape Cod.